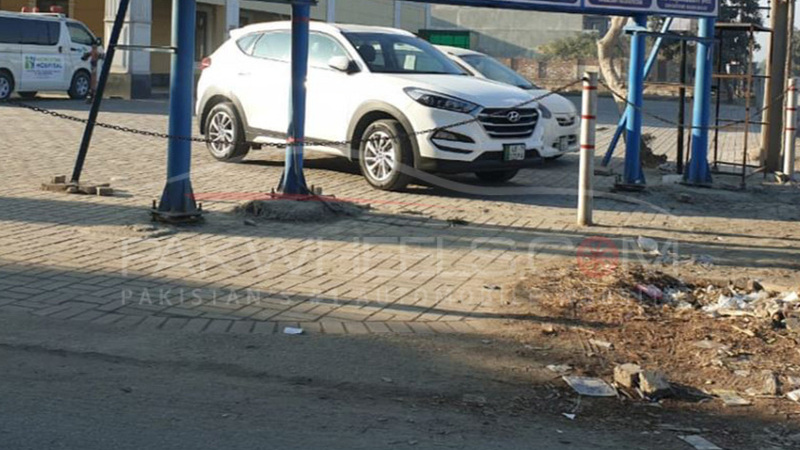 Hyundai Tuscon has been spotted once again in Lahore. A few days ago, one of our fellow PakWheelers spotted Hyundai Ioniq in Lahore after which the debate started that Hyundai-Nishat will surely bring Hyundai Ioniq in Pakistan, and now another car of Hyundai has been spotted in Lahore and it is none other than Hyundai Tucson. We cannot say for sure if it is a test model or just an official at Hyundai-Nishat Motors or maybe both. Tucson is a 5-door crossover by South Korean car company, Hyundai. The first gen Tucson was launched back in 2004 and remained in production for 5 years, with some visual updates in between the time span. The second generation Hyundai Tucson went on sale in 2009 and was then discontinued in favour of the current (3rd) generation in 2015. The said spotted car is the third generation Tucson. Tucson is internationally available with five engine options, where two are diesel engines, and three are petrol engines. As for the transmission is concerned, you get either a 6-speed manual or a 6-speed automatic transmission.